Tools & products to help you achieve extraordinary sales success. All orders over $100 get FREE SHIPPING! 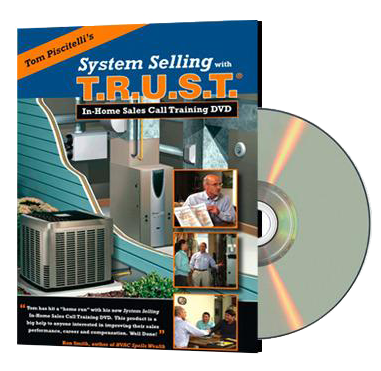 Complete HVAC Sales Training system in a two DVD set. Walks you through the entire sales call process from beginning to end. 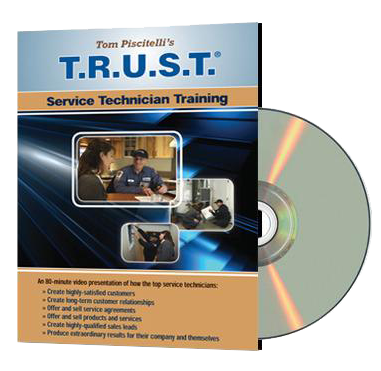 A first-ever video demonstration of best-practices for service and maintenance technicians. Includes digital copy of Companion Workbook. 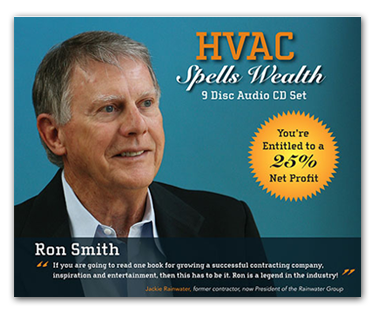 9 disc set offers 10 hours and 27 minutes of information—as read by Ron Smith! 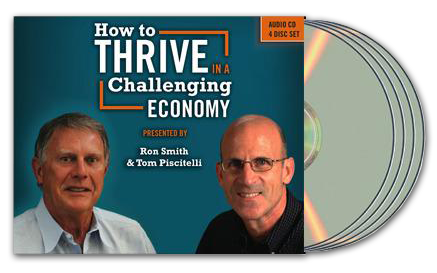 Ron Smith and Tom Piscitelli provide a detailed plan on how to be successful in a challenging economy. 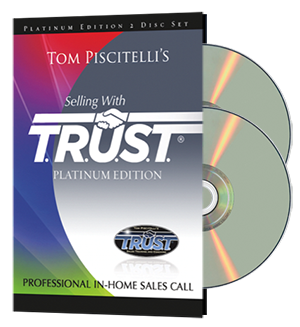 Tom gave me the tools and knowledge to confidently walk into a clients home and walk away with not only a sale but a happy customer whom will time and time again look to myself and my company for their needs and not only that they tell their family, friends, neighbors and co-workers. Coming into this industry with very little HVAC knowledge was a little intimidating. Your Jump Start program quickly changed that to excitement and an eagerness to continue learning our business. Thank you very much for giving us the foundation of knowledge about HVAC and the role it plays in the overall way a home functions. Being new to the industry, I sometimes get overwhelmed with training. I found that your training was done at a pace that allowed me to learn and retain some great knowledge. Thank you for your patience! Awesome job Mark! I’m new to the industry and this week has prepared me to be a top seller beginning tomorrow. I am now confident I have a sales process and tools that I can apply to any industry. My only regret is not taking this course sooner. I learned valuable techniques that will stick with me for life. I gained a confidence I didn’t know was possible. I was hoping to become a successful salesman, now I know I will. As an owner, I now feel like I can nail down our sales process. The group atmosphere was great with a lot of ideas shared around. Now knowing how to give my customers choices without my bias getting in the way will really contribute to my success.